The graph shows customer perception of brand sponsored articles in the United States as of June 2014. 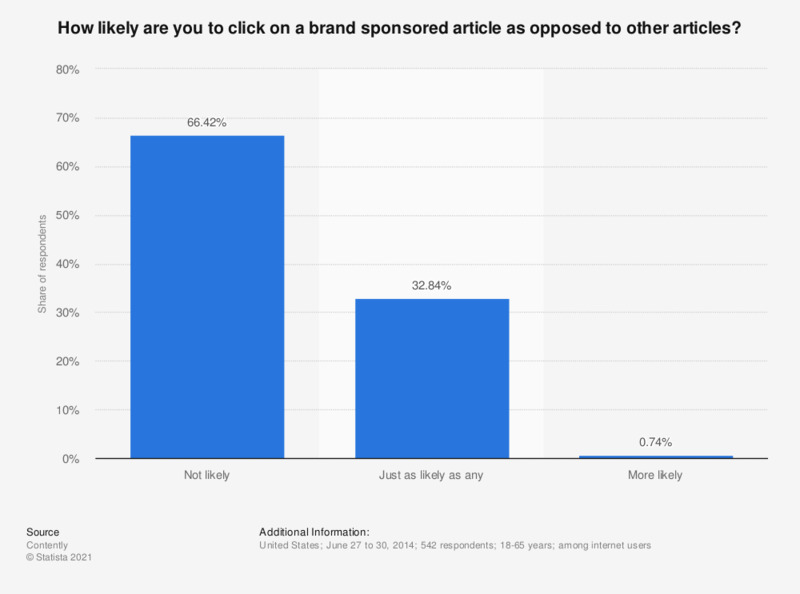 Over half of the respondents (66.42 percent) were not likely at all to click on an article that was sponsored by a brand. This question was phrased by the source as follows: "How likely are you to click on an article sponsored by a brand?"